The 4th Sunday of Easter is also known as Good Shepherd Sunday and is the day when the church throughout the world prays for vocations to the Priesthood and Religious Life. To read the message of Pope Francis for this special day, click here. 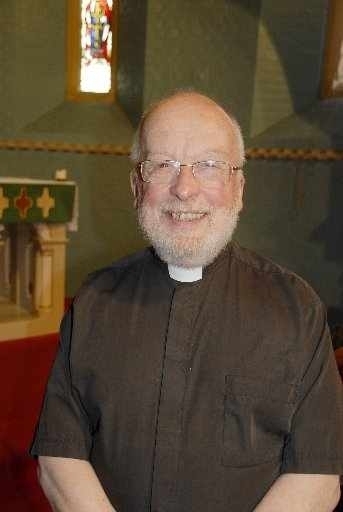 Archbishop Tadeusz to celebrate his Episcopal Silver Jubilee in Driffield. At the end of November, Archbishop Tadeusz Kondrusiewicz will return to the parish to celebrate his Episcopal Silver Jubilee. He was nominated Bishop on 25th July 1989 and Pope St. John Paul II consecrated him as Bishop on 20th October and the new bishop flew back to Belarus and celebrated his new office on 28th October with 27,000 Belarusians in Grodno. This visit was originally planned for mid-October, but the Archbishop was called to represent the Belarusian Church at the Synod on the Family. Although aspects of his week long programme have yet to be confirmed, he will celebrate the 10am Mass on Advent Sunday – 30th November. More information about the visit, the situation about the Church in Belarus and a forthcoming book about the Archbishop, will be available in the next few weeks. 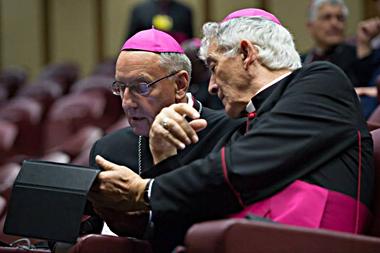 Archbishop Tadeusz at the Synod in Rome.